South African National Barista Championships, And the Winner is..
Wow ! what a weekend. I’m really loving being here in Cape Town. Just last week, some new friends of mine invited me to the South African National Barista Championships, which incidentally were taking place in Cape Town from 26-28 March at the luxurious Table Bay Hotel on the Victoria & Alfred Waterfront. I’ve never been to one before and sadly I’ll be missing the World Barista Championships (WBC) this year, which will be taking place in London – typical eh ! just when I leave Europe, they finally have it on my doorstep. So how was the South African version ? It seemed a bit low key to me on the promo side, although I found out there were some important “coffee” VIPS in the room, but nevertheless the baristas and their fans/families were very committed, cheering the competitors all the ways, with loud screams of support everytime they extracted an espresso or poured some latte art. 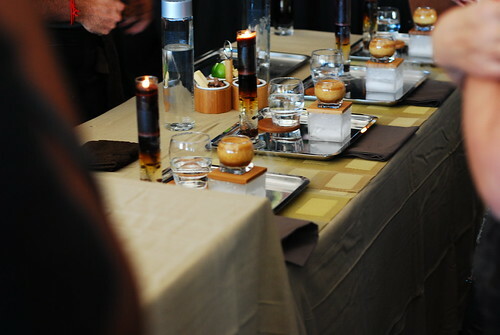 In summary, each barista has to make 4 espressos, 4 cappuccinos and 4 signature drinks for the 4 tasting judges and they are tested by another 2 judges for preparation, checking many things such as wastage in coffee preparation. 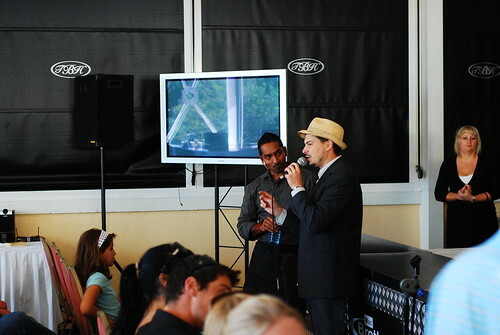 I also managed to get a free 1kg bag of freshly roasted coffee from one of the speciality roasters attending the event. And second the winning drink, a signature coffee drink made primarily with espresso, cream and whipped eggs – almost like an eggnog latte without the alcohol – cups were pretty cool and the presentation tops, especially as Ishan didn’t compromise on effects by mixing some concoction to create a smoking ice glass placed underneath the winning signature drinks. 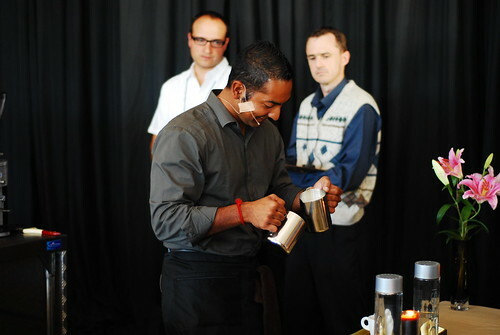 So, Ishan will be representing South Africa at the WBC in London, scheduled to take place in the latter half of June 2010. I think it may be held during the Caffe Culture event, but I’ll try and keep you posted. This entry was posted on Sunday, April 4th, 2010 at 9:00 pm	and tagged with Barista, Cape Town, coffee, South Africa, South African National Barista Champion and posted in Coffee News, Uncategorized. You can follow any responses to this entry through the RSS 2.0 feed.